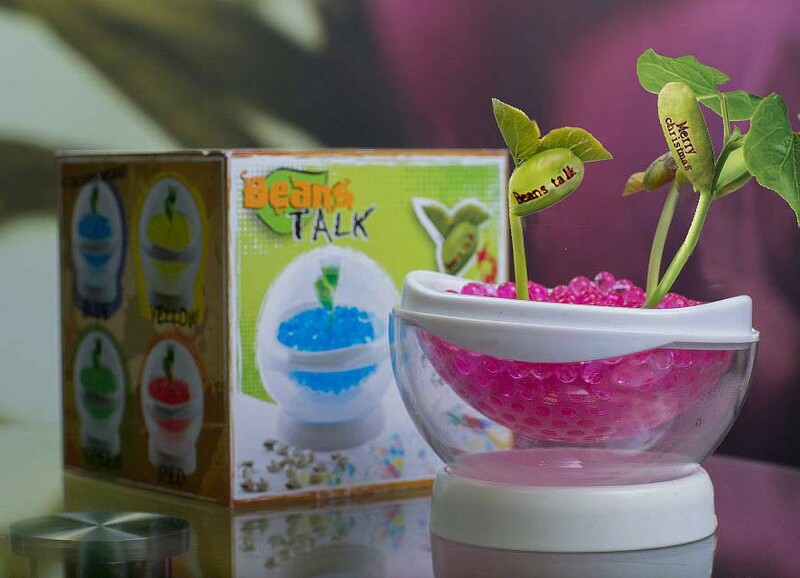 No soil, no watering, and no effort needed, this brilliant plant pod magically grows beans which pop up a special "Happy Birthday" message and will continue to enlarge as the beans grow . 4 Water Bead Packs (Blue, Red, Green, Yellow) Odourless, biodegradable and re-usable, the water beads is a colourful substitute for soil. 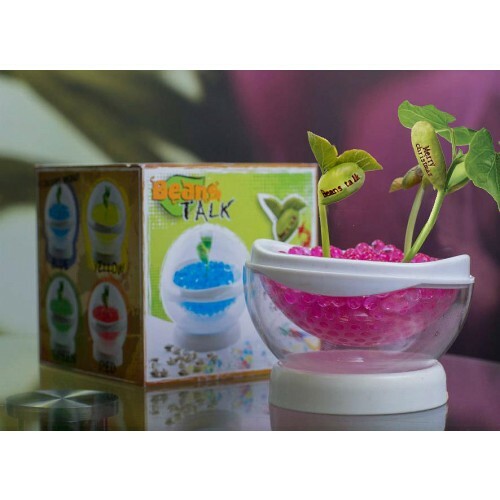 Add water and it expands up to 200x its size providing support needed for your beans to root. One packet fills a whole bowl! These packs are suitable for everyone (6+). From BEEcycle. These packs are suitable for everyone (6+). Not suitable for children under 36 months. Choking hazard. To be used under the direct supervision of an adult. This pack comes with various Birthday message beans.